5 Ways to Beat Bloating Now! What can ruin your day faster than waking up bloated?!? Not much. It makes you feel like an unhappy baby. Things we do all day and night long can contribute to bloating and if you have it, here are the first layer of practical tips and info you need to know so that you can feel like wearing your Lululemon leggings and skinny jeans without a big flowy shirt over the top! Cruciferous vegetables: cauliflower, broccoli, asparagus, leeks, brussel sprouts: they can taste so good and be easy to find but we as humans are not good at breaking down cellulose, which is a component of the the fiber found in these type of veggies. The enzyme to break cellulose down is produced by intestinal bacteria. So with less than powerful gut strength and health, we literally just cannot do a good job digesting these food. Sugar: Especially refined sugars from things like pasta, crackers, desserts, even hidden sugars in ketchup, marinara sauce, salsa, salad dressings. Sugar is a digestive irritant so start cutting out any added sources to help relieve bloating. Artificial Sugars: probably even worse for the body than regular sugar. When you consume artificial sugars, the sugar alcohols they contain contribute to excess gas and bloating, let alone, your body still gets a spike in insulin and leptin your fat storage hormone, so get these out of your body ASAP! Swallowing too much air: this can come from eating too fast, chewing gum (check out your gum label for artificial sugars too), and even drinking from straws! Common food allergens and digestive irritants: watch your intake of the following if you have issues with bloating: Coffee, sugary drinks (lattes/energy drinks/teas with added milk or sugar/soda/juices), corn, wheat, soy, dairy. These are the first layer of things to take out of your diet. Take a digestive enzyme to help the process along. So rather than eliminating good veggies, start slow as you increase your intake. Fiber is good for us, as are the vitamins and minerals, especially sulfur found in these foods. Cook your vegetables. Cooking preferably using light heat like steaming helps to start breaking down the food so your body has less work to do. If you don't do well with eating cauliflower, broccoli, or even kale, you may want to consider ways to boost your digestive energy. 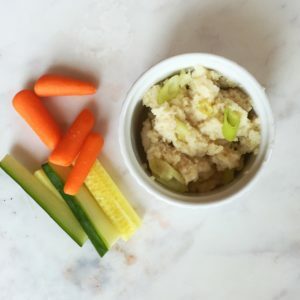 If you have an underactive thyroid or adrenal fatigue, both signs of a weak digestive system, you always want to cook these types of vegetables to make it easier on the body to process. Drink Noni juice: this is my absolute most favorite superfruit. I drink it daily, 1 - 2 oz and more if I feel like my stomach is bloated, upset or if I ate something that didn't 'settle well.' Noni works as a digestive enzyme AND helps with absorption of the foods you are eating because it helps to open up the cell border and let your nutrients in faster and more easily. Take a probiotic: this is the first thing I take in the morning everyday with my alkaline water. Wait 20 minutes before eating so that the good bacteria can get your colon where we want it to settle. Peppermint oil: the menthol in peppermint feels cooling to an upset stomach and can be applied topically. I mix it into coconut oil or jojoba oil and rub straight over my stomach. I also put a few drops into my water and drink it to help with bloating. Feel your fullness: even though something is a whole food, a good for you food, you can eat more than your stomach and digestive system is able to process at one time. Think about how full you are on a scale of 1-10. When you decide to eat, SLOW DOWN, chew your food as much as you can. Stop, breathe, have conversation. When you start to feel full, ask yourself what number you are at. Try to stop eating by the time you are a 6 or 7. If there is still food on your plate, you don't have to eat it. You can save it for later, for leftovers, or enjoy the company you are eating with and see how your stomach feels in 20 - 30 minutes. If you are already doing all these things and know there's a bigger underlying issue contributing to bloating or digestive stress, and you are ready to get to the root cause, schedule a time to talk to me about what else you can do. Food sensitivities are one of the biggest factors in constant bloating and can give you amazing insight into what foods that aren't even on this list could be making you bloated. So many people have figured out their food issues by working through a simple elimination diet based off personalized blood test results. Schedule a time to chat with me if you think you have food sensitivities and are ready to get over them, over the bloating and on with your life! PS: I know this is makes all the difference. I just realized over the weekend that the roasted seaweed snacks I love (from Costco) have GMO-Free canola oil in them. I was reactive to corn on my recent test and even that little amount of oil gave me immediate stomach pain and bloating for several hours. So every ingredient matters when you are working on the gut! Hungry all the time? Here are 4 strategies to try!